1. It provides hot water only when it’s needed. 2. It delivers quick and endless water. tankless heater delivers instant and constant supply of hot water. followed by cold water and then followed by warm water. Lighting (4%) and space cooling (1%). which meet certain standards of energy efficiency. Energy.gov, which is run by the US Energy Department, defines energy factor as “the amount of hot water produced per unit of fuel consumed over a typical day”. According to the department, the higher the energy factor, the more efficient the water heater is. 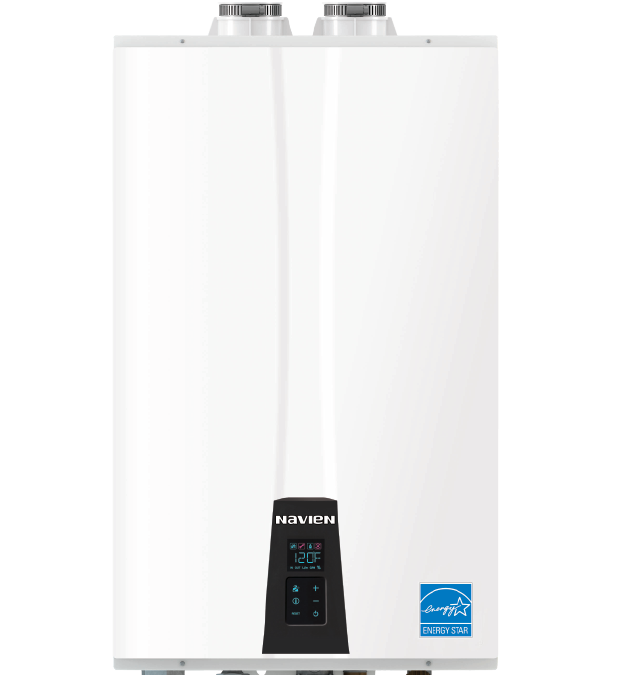 estimated annual cost of a 50-gallon tank-type water heater, which is $293. That’s a saving of more than $100 per year. heating system. According to Energy.gov, most tankless water heaters have a life expectancy of over 20 years. In contrast, tank-type water heaters last for 10 to 15 years. as its purchase price,” Natural Resources Canada said. 4. It lowers impact on the environment. 17.3″W x 27.4″H x 13.2″D. 6. It gives you peace of mind. with your Navien heating system from anywhere in the world. produced prior to March 23, 2016 in order to be compatible with NaviLink. heater temperature, receive diagnostic notifications and access usage data.